a great sound system with up to 4 cordless mics available for the singers in your group! Mixer with Digital Amplifier to enhance everyones moment of stardom! Along with indirect & direct lighting for the splash of color everyone loves! as well as Ohio, Illinois and Kentucky. Our prices are all inclusive. No hidden fees or costs. You NEVER pay for set-ups or tear-downs, only the time we provide entertainment for your event. as well as locking in the price for your special event. We offer hits from the 1950's, 60's, 70's, 80's, 90's through current day in Rock, Pop, R&B, Country, Jazz, Standards and More!! If you would like to submit a play list to us, we WILL play it! CRAZY PARTY DANCES: We have a variety of Country Line Dances, R&B Dance Hits, Swing, Salsa, and Big Band hits, as well as the standard fun dance favorites for all ages like the Chicken Dance, Limbo, Hokey Pokey, Cha-Cha Slide, Cupid Shuffle, the Twist, the Stroll, Bunny Hop, Macarena, Electric Slide, Stanky Leg & many more. various restaurants, pub venues and private functions. Please be sure to see our customer testimonials and ratings on this site. Donna was great to work with during the event and leading up to it. I didn't have time to put together a play list, so I left things up to her and she did a perfect job. She and Craig played great music to get the party going. 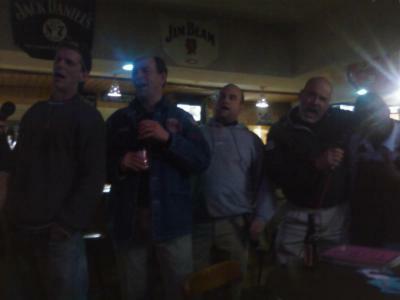 We soon switched over to karaoke and that was a blast! The best part of karaoke is having lots of songs to choose from, and they have a ton. I would definitely hire Circle City Entertainment again! Donna was very professional and accomodating with all our directions and requests. She provided a combination of music and karaoke for our event and worked very hard to get everyone involved and dancing - she definetly helped make it fun for everyone! I am glad we found her and am happy to recommend her. Donna and her team did a fantastic job! They were on time, prepared and got everyone up on stage to sing. We were very impressed and would definitely use them again. It was great. We had a lot of fun. They were able to find some old music that we requested that is sometimes difficult to find. Donna and Craig did a wonderful job for my son’s graduation party. They made the party “come to life”, not only with the music, but with their enthusiasm and guidance with all the activities. They made sure everyone was involved. They were very personable and entertaining. They brought an “air guitar” for my son’s and had the guest sign it. Before they left they presented the guitar to my son. This added a nice touch, something he will have to remember the special day. 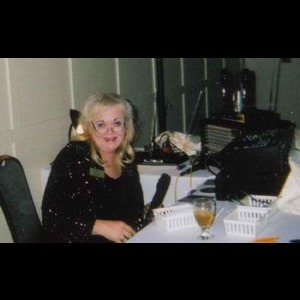 I would highly recommend Karaoke&DJw/Donna&Friends for any of your entertainment needs. Thank you Donna and Craig!! I could not ask for better! We just did not want it to end. A real pleasure. I am very satisfied with their service and would recommend to others. My daughter and her friends enjoyed Donna and had a great time. 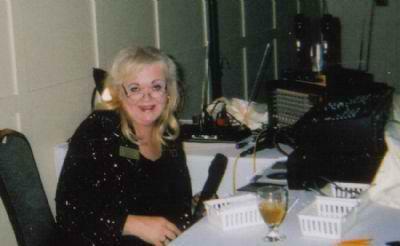 We were very pleased with our experience with Karaoke&DJw/Donna&Friends/CircleCityEntertainment. We would definitely recommend their service, and would do business with them in the future for sure. Please note Circle City Entertainment will also travel to Zionsville, Carmel, Whitestown, Brownsburg, Westfield, Fishers, Avon, Pittsboro, Sheridan, Noblesville, Beech Grove, Lebanon, Lizton, Mc Cordsville, Plainfield, Crawfordsville, Hillisburg, Cicero, Camby, Danville, Goldsmith, Arcadia, Greenwood, Kirklin, Fortville, Ingalls, Jamestown, New Palestine, Stockwell, Clayton.